Combining fine and pillow textures for your baby’s teething experience. These Fruit teethers are not only eye catching but serve the ultimate purpose of helping to ease your babies teething pains. Two in one! These dummy clips are not only super cute, but will be a part of the family for ages. Simply attach the dummy to one end of the chain and the other to clothing, bibs, swaddle etc. Once your baby is teething, the silicone chain works as the most wonderful teether, easing pain and creating relief. 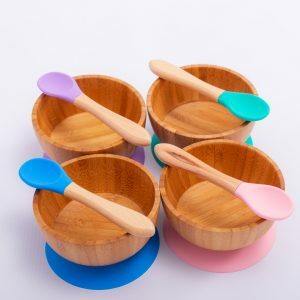 Combining adorable design with practicality, this set containing a no-slip classic bowl and matching spoon, is a must have for clean and stress-free meals. 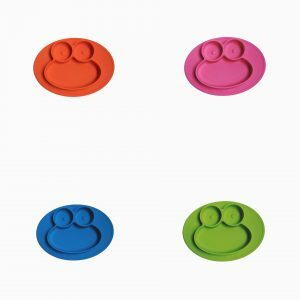 Created for all ages, it features a silicone suction cup that sticks onto any hard surface, so that your cutie cannot throw it over. Pull the release tab to remove the suction piece. The silicone contained in these items is BPA, PVC, Lead, and Phthalate free. Bye, Bye Mealtime Mess! Is your angel a plate thrower? 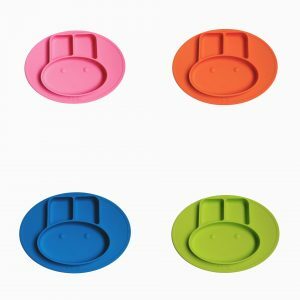 No more tipping & tossing dishware with this adorable 1-piece moulded silicone mat. Suctions securely to any hard, flat surface. Chewing has never been cooler! 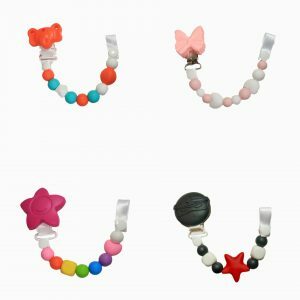 Our range of silicone teething rings are available in three styles and colours. Our teething toys are soothing on babies’ gums, helping to soothe the pain from the teething process. 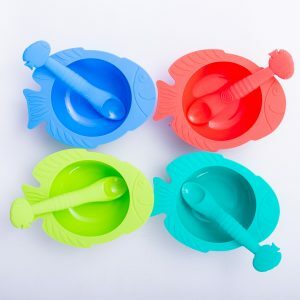 Keep your little one's food in the bowl and off the floor with our Fish Suction Bowl and Spoon set. 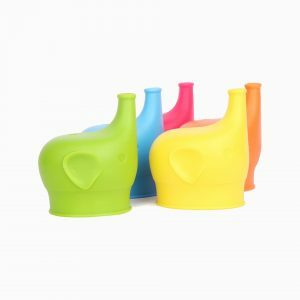 These stunning, bright fish-shaped bowl suctions to any surface and can't be pulled off or lifted by your baby or toddler. There is a small tab at the bottom for mom to break the suction hold once your little one is done. Give your cutie one of our little cuties! Everything you’d expect from a teether and so much more. 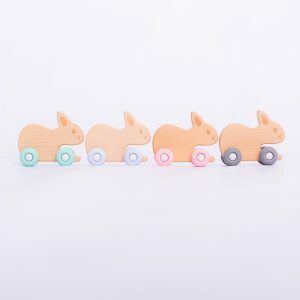 Non-toxic, food grade silicone to soothe sore gums and our Bunny and wood teethers made from naturally antibacterial beech wood. Four modern colours from which to choose. A totally unique design in wooden toys! Our full range is designed for play from the early teething stage to toddler! All our wheelie toys are made with beech wood and silicone wheels which is perfect for teething and soothing. As your baby grows they will begin to play with the toys that can be pushed and pulled using the wheels. Stunning colours and the cutest animals. Our range of beaded teething toys that attach to your pram or car seat keep your baby busy while you are on the go! The silicone teething toys are perfect for your teething baby to chew on because they are made from safe rubber with no BPA, lead or metals. 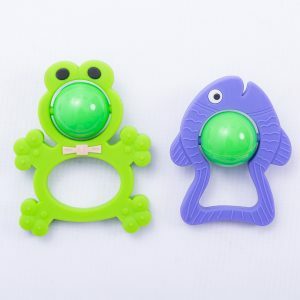 Made from the best non-toxic and BPA Free silicone, our fish and frog will keep your little one entertained, occupied and ease painful gums and teeth. 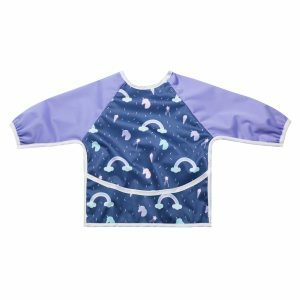 Available in Fish and Frog and perfect for little hands to enjoy.